Aristotle, Kant, and Rawls agree: people ought to have rational plans of life to guide their everyday efforts and activities. But what is involved in being rational about one’s plan of life? And really, what is a plan of life? Is it a sketch of a lifetime goal, along with some indications of the efforts that are currently thought to lead to this goal? Is it a blueprint for organizing one’s thinking, actions, investments, time, resources, and character over time in order to bring about the intended goal? Or is it something more flexible that this? 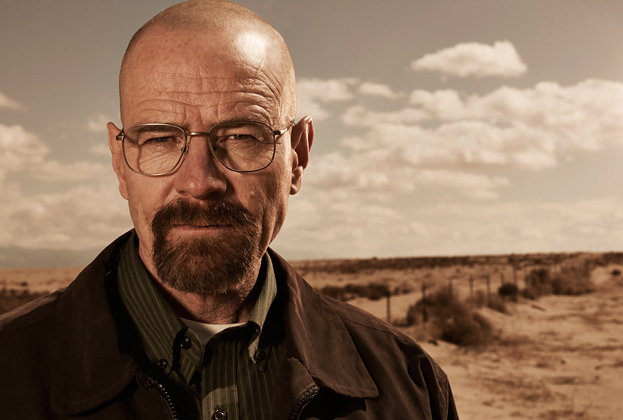 Did Walter White in Breaking Bad have a plan of life, either before and after his cancer diagnosis? Did Dostoevsky have a plan of life? How about Wagner or Whitman? Is it possible to be rational in making partial or full life plans? How have philosophers thought about this topic? Planning means orchestrating one’s activities over time in such a way as to bring about good outcomes over the full period. When a person plans for a renovation of his/her home, he or she considers the reasons for considering the renovation; the results to be achieved; the enhancements that would contribute to those results; the resources that are necessary to fund those enhancements; the amount of time that will be required for each of the sub-tasks; and so forth. With a good plan and a good execution, it is likely that a good outcome will be achieved: an improved residence that was accomplished within the budgeted time and resources available. A plan of life is something larger than a plan for a house renovation, though it has some aspects in common. John Rawls was the philosopher in recent times who brought this idea into serious attention. The concept plays a crucial role within his theory of justice in A Theory of Justice. (Perhaps Aristotle is the ancient philosopher who had the greatest interest in this idea.) Rawls introduces the idea in the context of his discussion of primary goods. Several things are noteworthy about this description. First, it involves scheduling activities so as to “harmoniously satisfy interests”, which is paraphrased as “fulfilling desires without interferences”. In other words, Rawls’s account of a plan of life is a fairly shallow one in terms of the assumptions it makes about the person. It takes desires as fixed and then “plans” around them to ensure their optimal satisfaction. But there are other things that we might want to include in a plan of life: choices about one’s enduring character, for example. And second, Rawls makes very heroic assumptions here by requiring that a rational plan of life is a uniquely best plan, an optimal plan, one which cannot be improved upon. Our need for plans concerning the future is rooted in two very general needs. We are rational agents, to some extent. For us this means in part that deliberation and, more generally, rational reflection help shape what we do. If, however, our actions were influenced only by deliberation at the time of action, the influence of such deliberation would be rather minimal. This is so because deliberation requires time and other limited resources, and there is an obvious limit to the extent to which one may successfully deliberate at the time of action. 2 So we need ways to allow deliberation and rational reflection to influence action beyond the present. Second, we have pressing needs for coordination. To achieve complex goals I must coordinate my present and future activities. And I need also to coordinate my activities with yours. Anyone who has managed to write a lecture, pick up a book at the library, attend a committee meeting, and then pick up a child at school will be familiar with the former type of intra personal coordination. And anyone who has managed to arrange and participate in a committee meeting with several colleagues will be familiar with the latter sort of inter personal coordination. Of course, as the examples make clear, we are typically in need of both sorts of coordination; for we are both temporally extended and social agents. And as we all learn to our chagrin, neither sort of coordination happens effortlessly. There are several features of life that make it difficult to formulate a satisfactory theory of the formulation and assessment of rational life plans. The extended timeframe of the planning problem: formulating a plan in one’s twenties that is intended to guide through the end of one’s life in his or her nineties. The fact of a person’s plasticity. Features of character, personality, habit, taste, and preference are all subject to a degree of purposive change. So it would seem that these should be the object of rational deliberative planning as well. But it is hard to see how to do this. The fact of the unpredictability of the external environment, both natural and social. The difficulty of designing a plan that is robust through dramatic change within the person. The difficulty of incorporating possible future capabilities of changing the self and the body directly through genetic engineering. These challenges make traditional rational-choice theory unpromising as a foundation for arriving at a theory of life planning. Traditional rational choice theory is designed around the assumption of exogenous and fixed preferences, the ability to assign utility to outcomes, and quantifiable knowledge of the likelihood of various outcomes. But the five factors mentioned here invalidate all these assumptions. « Is the mind/body problem relevant to social science?